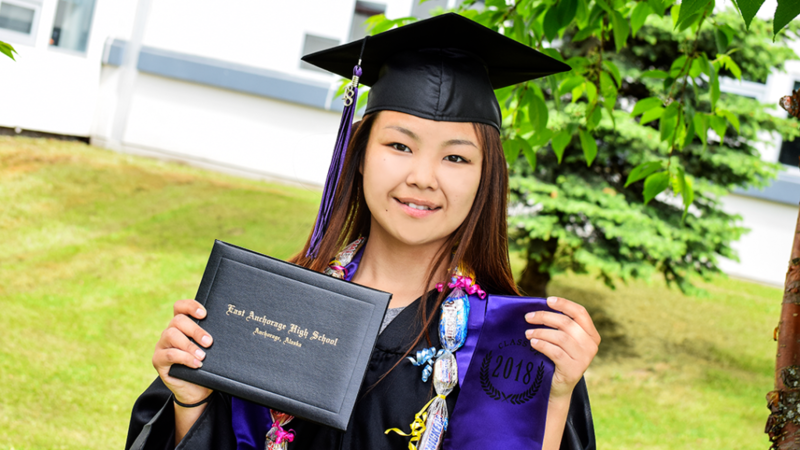 In 2005, the Anchorage High School graduation rate was 59 percent. 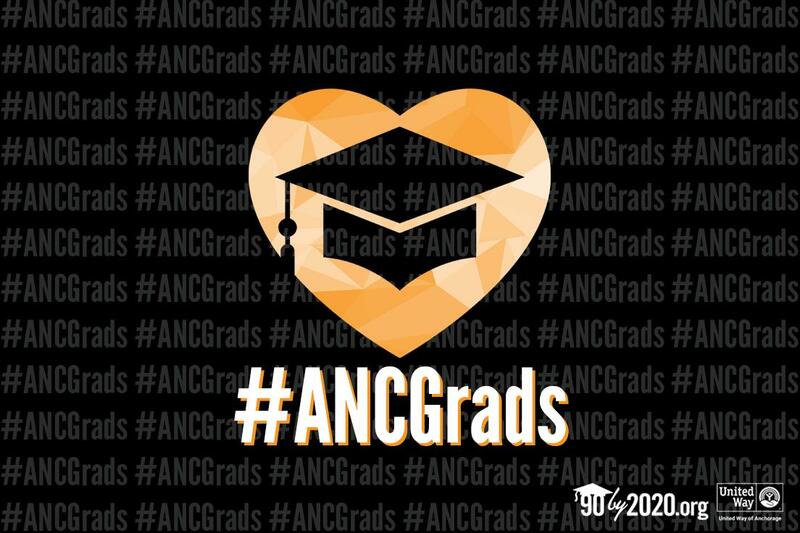 Since then, the aim of 90% Graduation by 2020 has been to raise and sustain the graduation rate to 90 percent or better. By 2017, the graduation rate was 81.4 percent. We’re still waiting on 2018’s certified final numbers from the Anchorage School District, but we can look back on undeniable progress. 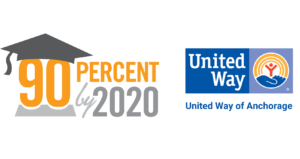 90% Graduation by 2020 is a community of partners, donors, advocates, and volunteers, leveraging the strengths of United Way to implement priorities. We strive to support children outside of school hours to improve their readiness and availability to learn during school hours. The diploma isn’t a gift. Students earn that walk across the stage. Our job is to give them a fighting chance to make the walk. We know when you set the bar high, the last inches are the toughest to vault. We’ve set the bar high. We’re 8.6 percent and two years shy of clearing the goal. The good news is we’re better at this than we were a decade ago, or even last year. We’re all living proof that you never stop learning. We have used data to focus on areas that have the most impact on increasing the likelihood of high school graduation. Our efforts are not limited to high school students and reach back to pre-kindergarten where studies demonstrate that we can make the most long-term impact to learning for the most modest investment. First, what does the student need to regularly attend, stay on track and succeed in school? Some need help with transportation, some with homework, some need an after-school activity to connect with school and make school a reason to get up in the morning. Second, how can we best meet that need, not by a referral slip, but with a facilitated connection to the support? Third, did the support actually help? Or is something else needed? We track results and use data not just to fill spreadsheets, but to fill needs. For example, when Anchorage School District data showed that Pacific Islanders had a high rate of absence, parents from the community came together to offer an after-school dance program. Attendance for those young people improved. When a sixth-grader was caught copying a friend’s work, and when confronted, tearfully admitted that he was unable to keep up, two PLUS volunteers began to check in with him regularly, helped him stay organized, catch up on missing and late assignments, and provided one-on-one tutoring. The result was what the boy’s teacher called a “leaps and bounds” improvement in his confidence and his work. We see similar results in the older students as well. Back on Track is a partnership of the Anchorage School District, Covenant House Alaska and United Way of Anchorage, with major funding from AT&T. 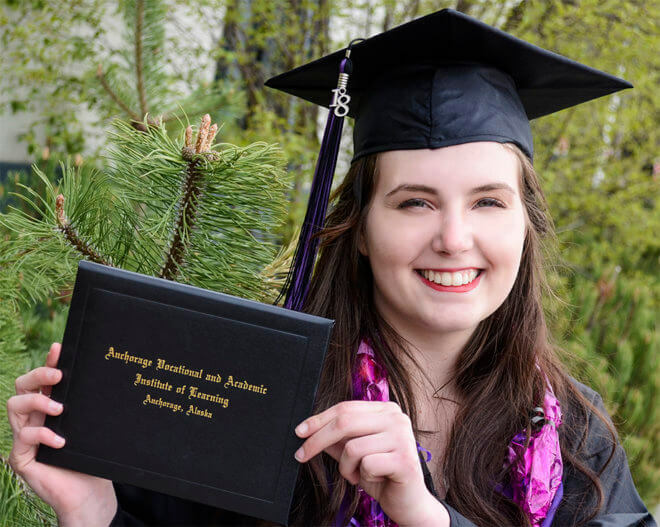 In two years, Back on Track has helped 153 students beat the odds and earn their diplomas. Many of these students were seriously behind in school credits and were dealing with homelessness, poverty, chaotic home lives and abuse — never mind the challenges of linear equations and sentence structure. Again, the method here is getting students the help they need — housing, night school, eyeglasses, counseling, transportation — to be able to focus on school. If students have the will, Back on Track helps to provide the way with nimble responses and a shared dedication to student success. Our goal is to make this sustained change, wherein a 90 percent high school graduation rate is a given, not a goal, and we can climb even higher. We’ve learned that sustained change requires help that’s specifically tailored to our students. We’ve learned what that means in the nation’s most diverse school district where almost 100 languages are spoken. We’ve learned that such help — nimble, coordinated, and on time — often makes the difference between a student buckling down to graduate or bailing out to nowhere. We’ve learned that no program, organization, or person can be that nimble and responsive alone. But when we work in concert, tap the talent and care of the community, well, any Back on Track graduate can testify that the whole is greater than the sum of its parts. That’s why the numbers, both promising and daunting as they are, don’t tell the whole story. When a Back on Track graduate becomes a Back on Track teacher’s assistant, there’s inspiration working alongside geometry. Join us in the work this school year, for the return on this investment will range far beyond 2020 and the halls of our schools. Originally published on Wednesday, September 13, 2018, in the Anchorage Daily News. Co-authored by Damian Bilbao and Michele Brown. Damian Bilbao, Vice President of Commercial Ventures for BP Alaska, is co-chair of the 90 Percent Graduation by 2020 initiative Leadership Team. Michele Brown is President and CEO of United Way of Anchorage.